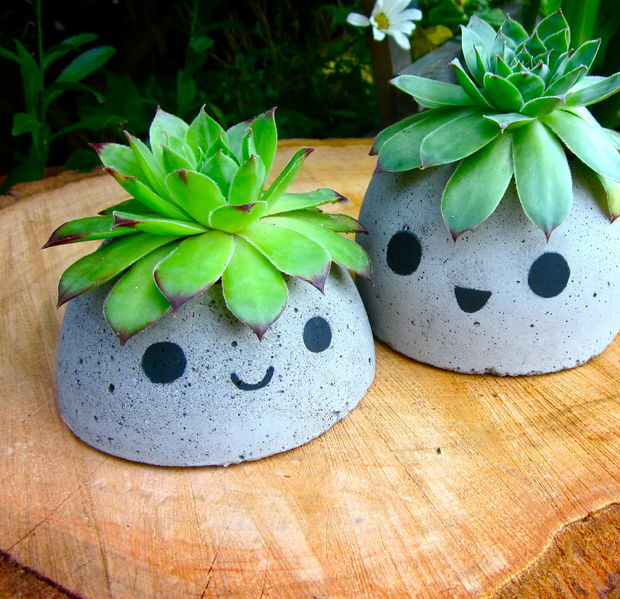 These cute concrete planters are an adorable addition to any home or garden! 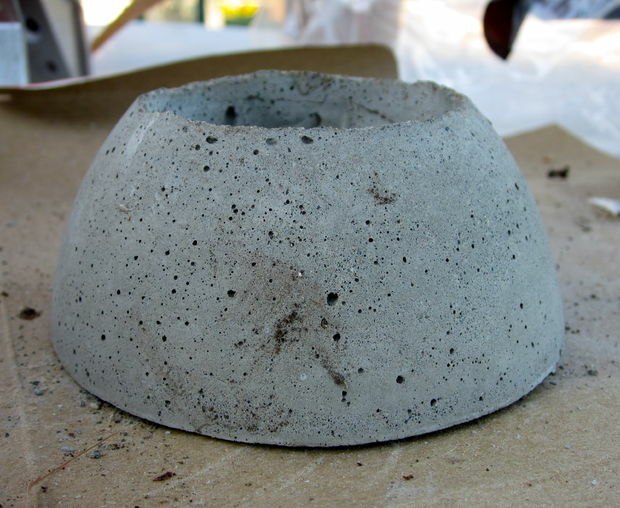 The molds are made of recyclable materials and concrete mix is very inexpensive to buy. 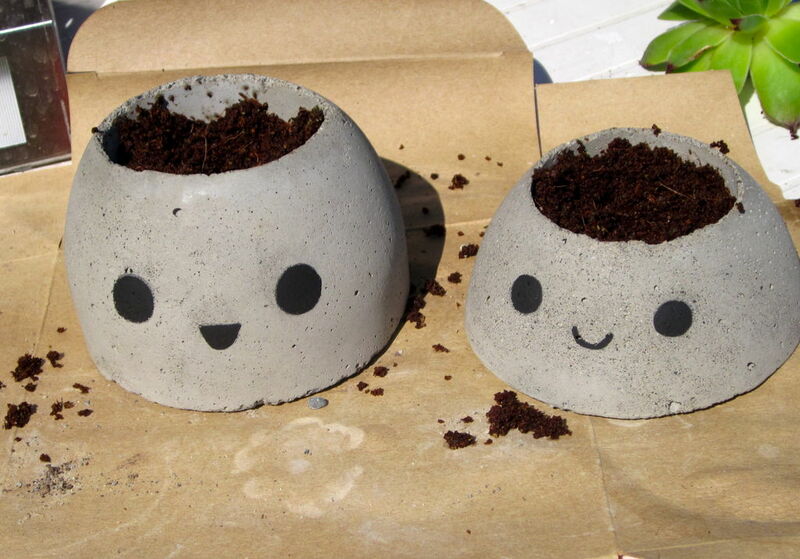 You can switch up the plants in these planters to give these little guys a fresh new 'do. Roll up the strip of cut plastic and place it in the opening at the top of the dome. Let the strip unroll so that it forms a cylinder the same size as the opening. Tape it in place. 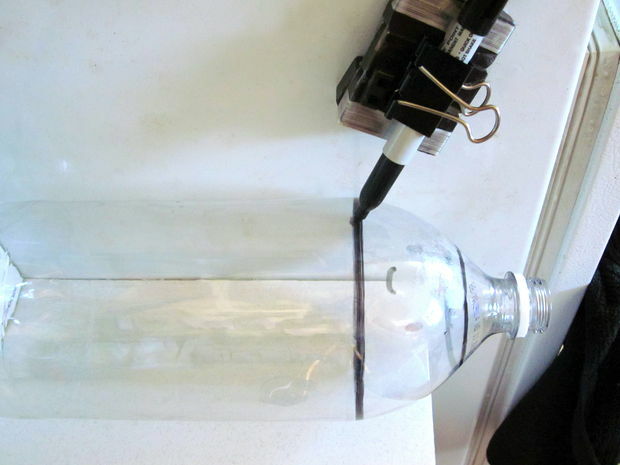 Use tape to close the inner tube cylinder at the end that is closest to the large end of the dome. 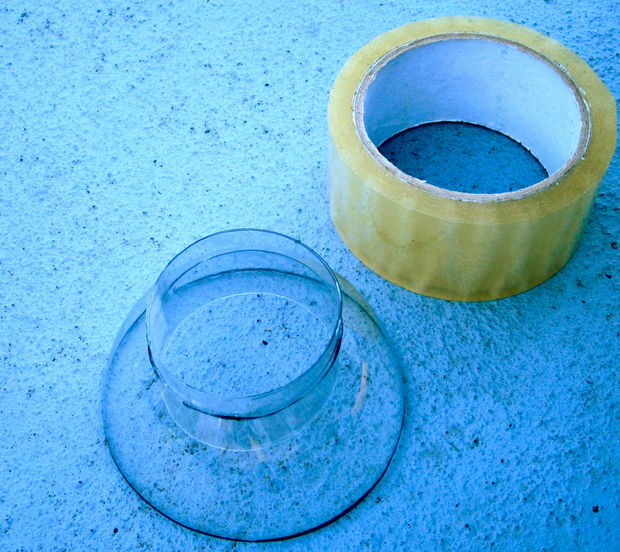 Make a hole in the tape and stick a straw through to make a drain hole. Coat the mold with cooking spray or petroleum jelly to help the concrete release. I used about 4 pounds of mix for 3 planters and used the amount of water suggested by the instructions. I mixed it in a plastic bucket with a garden trowel. I added the mix to the mold, a little bit at a time, while tapping the mold to try to prevent air pockets. Remember to wear your gloves, mask, and safety glasses! 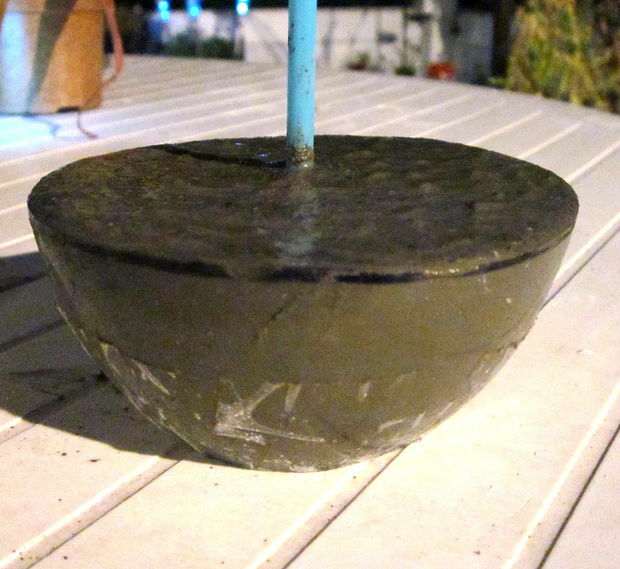 I cured the concrete for the amount of time the instructions suggested for warmer weather. During this time, I tried to keep the concrete moist. After I removed the concrete from the molds, I soaked the planters in water and vinegar overnight to try and neutralize the concrete. The bottom of my planters were not completely level, so I sanded them down using a bit of sand and a plank of wood. Paint on a face with paint suitable paint for concrete. Fill the planter with coconut fiber or potting soil and add a plant hairdo.